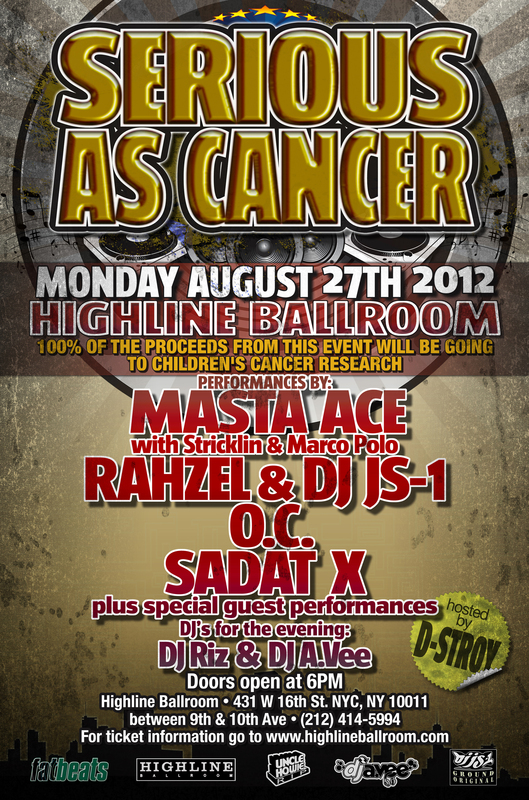 Masta Ace being one of them. The highly skilled Brooklyn born emcee is best known for his vivid storytelling skills that influenced many including the likes of Eminem. He has a career that spans over 20 years and yet is still relevant today. All you have to do is look at the faces of up-and -coming rappers when they are in the room with him to understand the magnitude of his influence and respect in the game. Continue to be a fan. You gotta be fans of all the other emcees and listen to everything and be a sponge and soak everything up. You see what dudes are doing and how they rhyming that way you can always continue to reinvent yourself and what you do. Wise words. Except, he is currently not a fan of anyone at the moment as he is working on his own projects. In preparation he explained that he tends not to listen to other artists to avoid being influenced when writing. What exactly is he working on you ask? I thought you might. He is working on an album over all MF Doom beats AND a documentary about his life which includes a coinciding album produced by Marco Polo. Navani Knows: The Halftime Show Turns 13! To this day, one of my fondest moments in my career would still be the night I covered the 10th Anniversary of The Halftime Show with host DJ Eclipse. That night featured almost all my fave producers and emcees in one room. Legendary artists like Alchemist, Da Beatminerz, DJ Premier, Masta Ace, Joell Ortiz and more all crowded around the studio of the college station. As a fan, I was in heaven. These were all people I grew up listening to and studying and to see them all in action at one time was amazing. As if that wasn’t enough, watching the chemistry between the up-and-comers and the legends reminded me of why I love what I do: documenting Hip Hop. So, when I ran into Eclipse earlier this year and he invited me to cover again, it was a no brainer. NavaniKnows: How does it feel to be still on the radio after 13 years and one of the last independent radio shows left on air? DJ Eclipse: Still feels great! Even after 13 years I still love going up to the show and playing new music. Breaking new artists. Seeing their expression of thanks on their face for having them on the show. That’s my fuel to keep going. NK: What can you attest to the longevity of The Halftime Show? E: I think that our listeners still enjoy being able to hear quality music and artists presented in a quality style. Over the years I think we’ve lost some of that tradition of what we expect to hear from DJs and so you now have mix cds with no mixing, mix shows with music no different from what day time radio is playing and DJs that last week were MCs. That’s not interesting to me. Hip Hop was always about being fresh and new and talented. I want to push the movement forward not set us back. 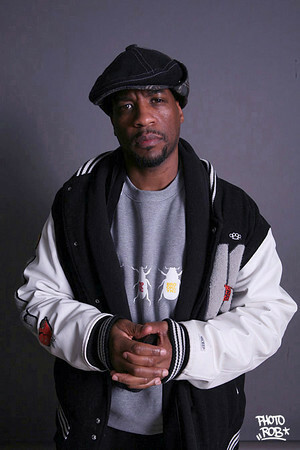 NK: Masta Ace referred to The Halftime Show as a rite of passage for any emcee on his journey up the ranks. How does that make you feel? What do you say to that? E: It’s dope that artists of his caliber see it as that because that’s exactly how I try to portray the show. I see it as an outlet for artists that have talent that others need to hear. I’ve learned what I like from listening to shows that came before me and I try to improve on that and present the best show possible. NK: One highlight for me last night was to see both members of the Artifacts rock together, when 3-4 years ago that would not have happened. How did that come about? What were some highlights for you about this anniversary show? E: I wish I could take credit for those guys getting back together, but that’s something those brothers worked out on their own. It was really just about timing now that they are working together and also in town as they are about to hit the road for some shows. But I have history with those guys. When they were brand new on Big Beat I was working with O.C. over at Wild Pitch and we traveled in a lot of the same circles. Those are two great guys and I’m extremely happy they’ve put their differences behind them. One of my most memorable highlights from last night was watching the expression on the faces of the next generation of MCs like Rasheed Chappell and Blacastan light up when dudes like Wise Intelligent or Masta Ace rocked the mic. You can literally see culture being passed down and appreciated by the younger generation. And those dudes are upholding it nicely! NK: I know there have been so many memorable moments on the show throughout it’s course. Last time we spoke at the 10th anniversary you mentioned how people like Kanye and Eminem started their career there. What other fave moments can you share (ever)? In the last year alone? E: Anytime you have an artist up that eventually achieves such commercial success as Em, Kanye or 50 did it’s of course a thrill to know you had them on your show early in their career before any of that success mattered. Q-Tip rhyming forever about the history of ATCQ was dope. Akinyele basically taking the show over was another great time. Talking Melle Mel and Jazzy Jay’s ear off for the entire show about their history. And then more recently appearances by guys like Dres from Black Sheep, Ma Dukes, Vinnie Paz…too many to recall. I was introduced to hip hop when I was rather young, circa the Special Ed days. I had a cousin that was five years my senior and I thought she was the coolest person alive so anything she was into I studied. She was into real hip hop. Because I was always a mature kid, she hung out with me voluntarily (plus she was always grounded) so we spent countless hours in her room listening to hip-hop… Nas, Raekwon (the purple tape), Wu Tang, Mobb Deep, Biggie and their producers all became my close confidantes. My cousin eventually moved out to go to college, and then became a St Louis transplant but the bond with music she induced in me stayed till this day. 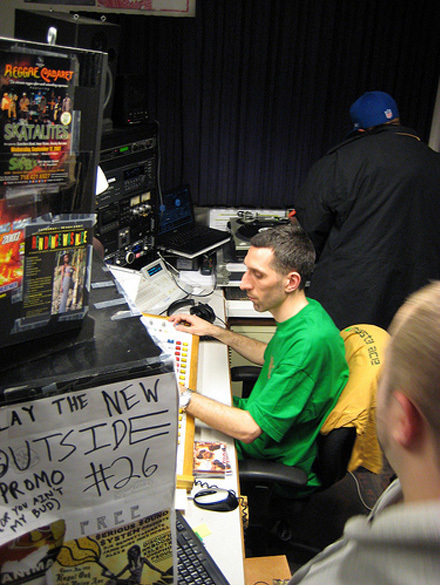 So when the opportunity to cover the 10 year anniversary edition of the WNYU Halftime shows, I was thrilled. 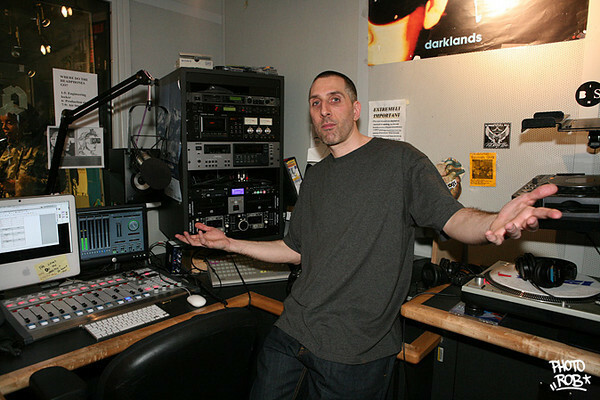 The Halftime show has been a right of passage to the hip hop community for the past decade Over its lifespan the college radio show, hosted by DJs Eclipse and Skizz, has featured hip-hop superstars (50 Cent, Eminem, Kanye West) during their formative years. The event brought out a slew of hip-hop’s elite artists including DJ Premier, Alchemist, Joell Ortiz, Termanology, Masta Ace, Bobbito Garcia, Beatminerz, among others. There are moments when things in your life come full circle, and this event was one of them. To be able to meet and build with artists I grew up listening to, the pioneers of the genre and see it back in its rawest form, made everything else in my life makes sense. I remembered why it is I do what I do, for the love… and being present there made all the sacrifices worthwhile. Cheers to real hip hop, free styling, spinning live, and getting star struck over meeting legends like DJ Premier and Alchemist. I ran into hip hop last week, and it’s alive and well.